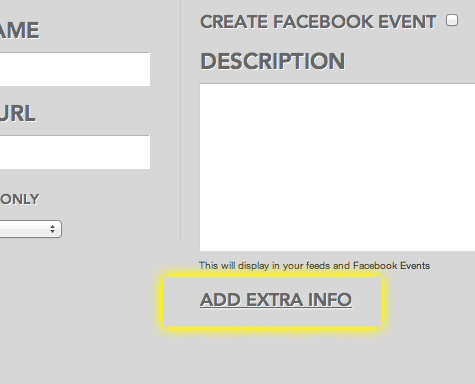 GigaTools Blog» Blog Archive » Add images to each of your Gigs! We’ve added in the ability for you to upload custom images per Gig! Simply hit the ‘ADD EXTRA INFO‘ link when editing your Gig information and click the ‘Choose File‘ button, choose a JPG or PNG file and hit Submit! These Images will display on your Gigs Listing Page and be available via your Gigs Feeds. We will integrate these images into our Facebook App shortly too. This entry was posted on Monday, May 27th, 2013 at 6:23 pm and is filed under Help, News. You can follow any responses to this entry through the RSS 2.0 feed. Both comments and pings are currently closed.